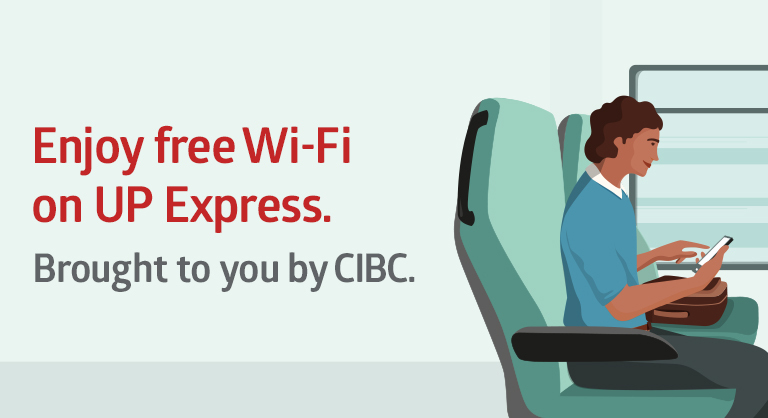 CIBC is making it easier than ever to take care of your banking needs before and after you fly. 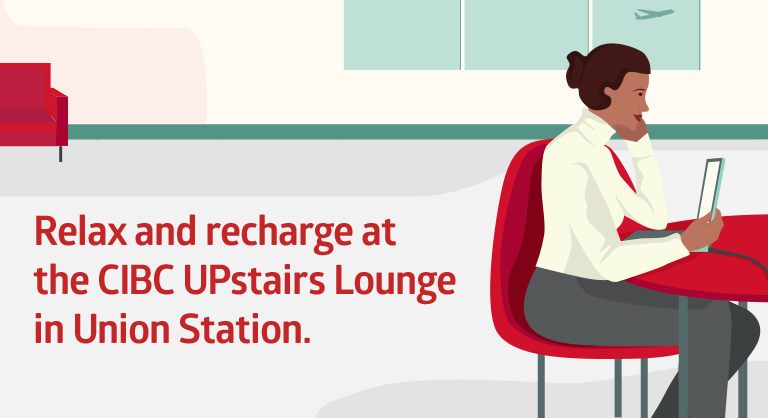 As Lead Partner of UP Express, we are bringing you free Wi-Fi, charging stations and the CIBC UPstairs Lounge as well as multi-currency ATMs at the station. Once you’re at the airport, get your banking done at one of our new Toronto Pearson branches. Conveniently located in each terminal, we can help you with everything from opening an account to arranging pre-authorized bill payments or any last minute banking needs, like setting up travel medical insurance. 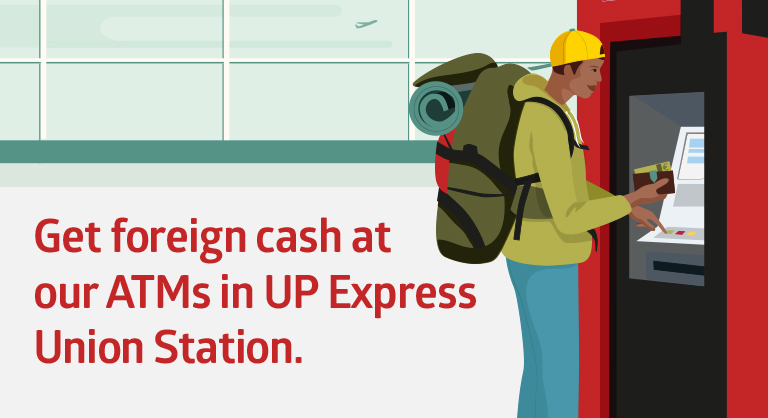 You can also sign up for a credit card or notify us of your travel plans so you can shop hassle-free while abroad. 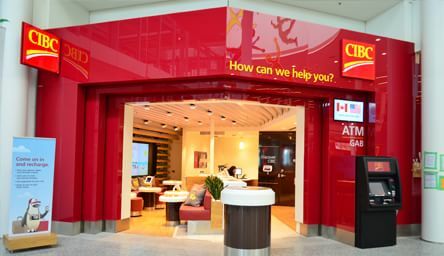 For your convenience, our CIBC multi-currency ATMs are located throughout the airport to get foreign cash on the go. Just arriving or waiting for someone to arrive?